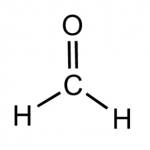 Formaldehyde is a naturally-occurring, pungent, colorless, small organic compound. It is produced by natural metabolic processes in humans and animals alike, free-standing timber, natural decay and decomposition via combustion. Formaldehyde has received additional attention recently as the World Health Organization (WHO) has reclassified this material as a carcinogen (a substance that causes cancer). That reclassification has resulted in a very natural and expected added wariness associated with exposure to and products containing formaldehyde. This concern has been especially keen in the use and manufacture of plywood products; one of the glues used in the manufacture of plywood is phenol formaldehyde (trade name “A bond”). This glue confers strength and moisture resistance to the individual plywood layers as well as the overall sheet. The very name ‘phenol formaldehyde’ is enough to cause concern of excess formaldehyde exposure. However, there is very little cause for concern. Formaldehyde emission levels from plywood products naturally peak just after manufacture, but those emissions abate with time. The application of a phenolic coating during manufacture also helps the abatement of formaldehyde emissions. By the time the average DIY’er purchases a sheet of plywood at their home center, the emission levels of that sheet of plywood are essentially non-existent and don’t contribute in any way to the formaldehyde levels found naturally in the air—approximately 30 ppb (parts per billion) in residential homes, 0.2 ppb in the atmosphere. Those who work in industries with potentially higher levels of exposure to formaldehyde such as mortuaries, plywood manufacture, some health care professions and lab technicians also might naturally be wary of long-term exposure to formaldehyde. Exposure to formaldehyde most likely comes from continuous inhalation of the gas or vapor or from absorption of a formaldehyde solution— most likely water, though formaldehyde is soluble in almost any liquid, from water to acetone to benzene. Safety regulations implemented by governmental agencies have largely minimized this type of exposure risk. In fact, the most common way of being exposed to a large, acute dose of formaldehyde is a breakdown of safety protocols. The recent reclassification of formaldehyde as a carcinogen by WHO has understandably caused some alarm among consumers, particularly among those who have purchased plywood products, as those products are known to emit small amounts of formaldehyde. While this reclassification has resurfaced the discussion of the hazard(s) associated with formaldehyde, the reality is that formaldehyde emission from plywood products does not increase the likelihood of developing cancer and consumers should relax and enjoy the beauty these products provide without worrying about potential negative health effects associated with wonderful building material.